Divorce and post marriage assets held in third party names can make for extremely complex legal disputes according to Cheshire family law specialist solicitors Stonehewer Moss, Michael Brennan is the accredited solicitor handling divorce finance disputes at the Northwich solicitors and in a pre Christmas rush to grasp esoteric areas of divorce work he believes this issue is one that many people may find of interest but ultimately should treat with caution. Michael says, ” The issue can be summarised as a divorce situation where a high living lifestyle on analysis of the ownership of assets is revealed to be unsustainable in the post divorce world as assets were held under a trust or a company, for example. 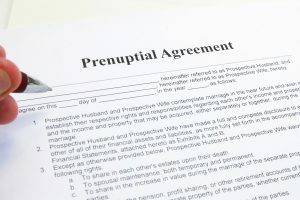 As a matter of law this creates the problem that a divorce is between two individuals while the company or trust are third party and cannot be touched by the court unless steps are taken to make them party or the court acts on the assumption that the trustees will carry out the request of a spouse. Divorce and post marriage assets held in third party names requires a detailed analysis and sensible approach within realistic budgets. This article was added on Thursday, December 8th, 2016 at 10:23 am and is categorised under Cheshire News, Chester News, Divorce, divorce finances, Macclesfield News, northwich solicitors, prenups, Runcorn News, St Helens news, Warrington News, Widnes News, Winsford News. Both comments and pings are currently closed. Error: Error validating access token: Session has expired on Saturday, 09-Mar-19 13:12:58 PST. The current time is Thursday, 25-Apr-19 21:43:53 PDT.